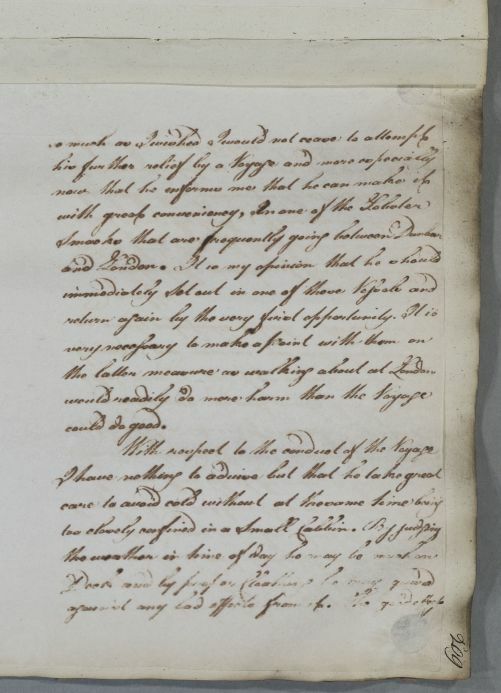 Reply to James Hamilton concerning the case of Mr Drysdale, whom Cullen has recently see.. 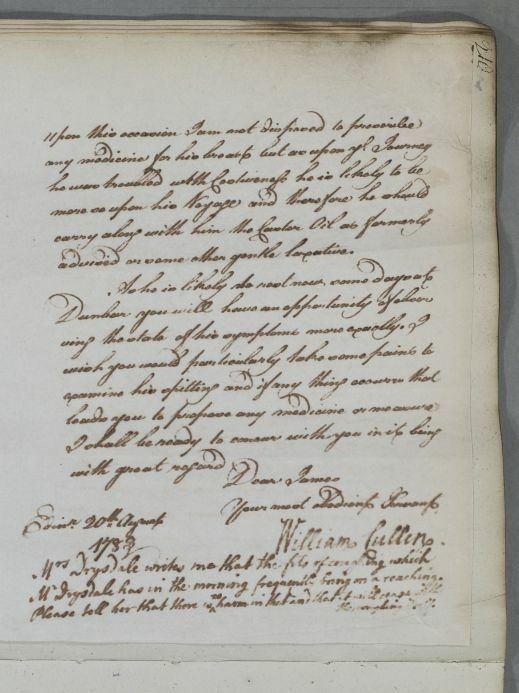 He recommends a voyage to London on one of the fishing smacks that travel between Dunbar and London, and gives dietary advice for such a journey. 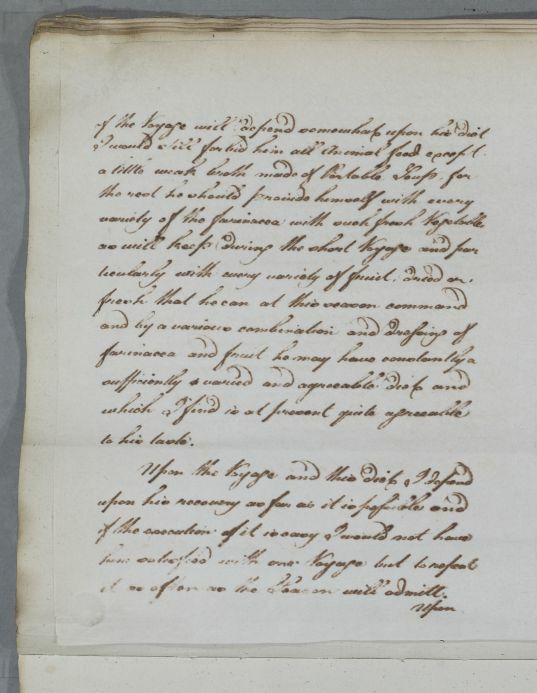 Cullen also mentions receiving a letter from Mrs Drysdale about the case [not traced]. Summary Reply to James Hamilton concerning the case of Mr Drysdale, whom Cullen has recently see.. He recommends a voyage to London on one of the fishing smacks that travel between Dunbar and London, and gives dietary advice for such a journey. 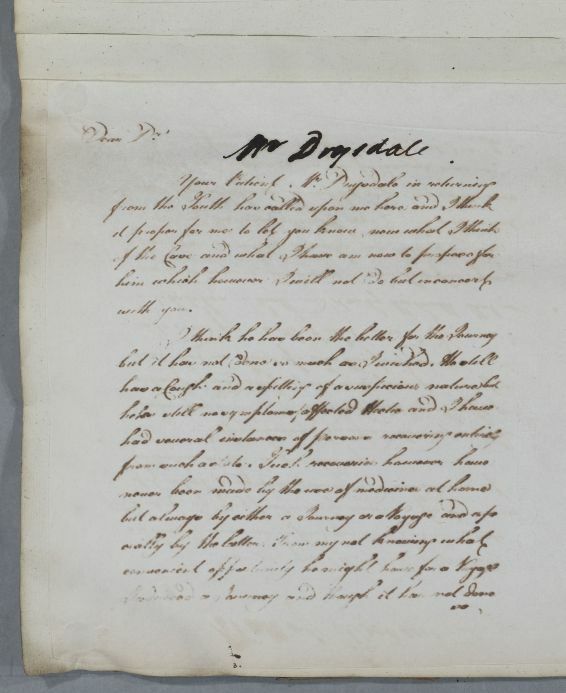 Cullen also mentions receiving a letter from Mrs Drysdale about the case [not traced]. it as often as the Season will admitt. advised or some other gentle laxative. Mr Drysdale has in the morning frequently bring on a reaching.